More than 200 million eggs distributed to restaurants and grocery stores in nine states have been recalled because of bacterial contamination. 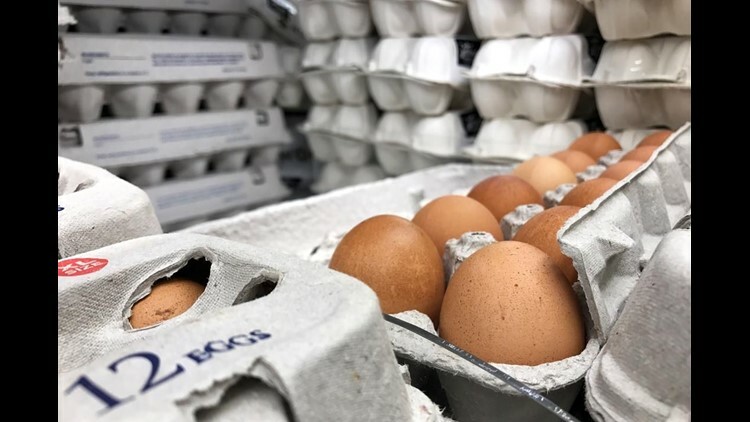 RALEIGH, N.C. (AP) — More than 200 million eggs distributed to restaurants and grocery stores in nine states have been recalled because of bacterial contamination. A notice posted on the Food & Drug Administration website Friday said the eggs shipped from a North Carolina farm may be tainted with salmonella. The bacteria can cause nausea, diarrhea and, in rare cases , death. Twenty-two illnesses have been reported. The notice said Indiana-based Rose Acre Farms was voluntarily recalling the eggs "through an abundance of caution." A company spokesman didn't immediately respond to a message seeking further comment Sunday. The eggs reached consumers in Colorado, Florida, New Jersey, New York, North Carolina, Pennsylvania, South Carolina, Virginia, and West Virginia, according to the notice. The recall came about after the illnesses were reported in states along the East Coast, and the FDA inspected the farm in eastern North Carolina's Hyde County that produces about 2 million eggs per day. Gottlieb said the agency's testing connected the recalled eggs to the people who got sick. "The eggs that are in the stores today are safe," she said by phone. She said she didn't have information on whether Food Lion customers were among those who got sick.